Cycling around the city remains one of the main entertainments, which is very popular among tourists. Virtually every part of the city has a special bicycle area, so you can easily rent this unpretentious vehicle and go exploring the local sights. MacBike Bicycle Rental, Frederic Bike, Het Zwarte Fietsenplan and Damstraat Offer are known as best bike rental centers. Fans of beach rest will surprisingly find entertainment here. The best beaches of Amsterdam are Zandvoort and Ijmuiden. The night life of the city is worth a separated article. On the territory of the city you will find a large number of clubs, night bars, discos and coffee shops. The majority of venues working at night can be found in Red Light District near Rembrandtplein District and Leidseplein Square. Those visitors, who enjoy noisy parties and cannot imagine a holiday without energetic dances, will surely like Exit Night Club. Here is played music of different fields, and parties are often accompanied by costumed shows and interesting performances. The interior of Jimmy Woo Club is made in the unique oriental style. The dance floor of the club resembles a classic Hong Kong disco. It is worth noting that this club has a strict dress code, so you should definitely pay some attention on your look before you go to it. Shopping fans should definitely visit the market, which is located on Waterlooplein Square. Here you can buy memorable souvenirs, handmade crafts, and antiques. If you enjoy drinking coffee, we suggest attending Bulldog chain of cafes dedicated to this amazing drink. These are special facilities for tourists. Other popular coffee shops are The Bluebird and Grey Area. Amsterdam offers its visitors a broad range of recreational activities: indoor karting and skiing, race-car driving and kite-surfing, snowboarding and climbing. At the Snow Planet – an amazing indoor slope you can enjoy skiing and snowboarding, but dress good – the temperature is quite low here. The prices per various kind of activities start from €16. Always wanted to try driving the kart or racing car? Then you should go straight to the Race Planet. It is a huge all-weather leisure center, where you will find bowling area, the arena for laser games, and two karting tracks. Skateboarding fans have a chance to participate in the Friday Night Skate. This skating weekend takes place each Friday during the year. Skaters gather at Vandelpark, where they roll twenty kilometers through Amsterdam. Have fun at the Climbing wall near the Amsterdam Central Station, the activity for those who are not scared of height. Love water activities? Then go straight to the Wind Water Beach, which is located near Amsterdam’s River IJ. Here you will have the greatest time here, while sky-surfing and sailing. At the Port of Amsterdam, you can sunbathe, admire marvelous panorama and fill your tummy with top-notch food and drinks. Have you seen Amsterdam from the bird’s eye view? No, but you desire so? Then skydiving is the best option for you. Amsterdam parachuting services can be found on the outskirts of the city. In Amsterdam, you will find a sky-diving club near to the international airport. A brilliant view of Rotterdam, North Sea, and a marvelous panoramic view is guaranteed. 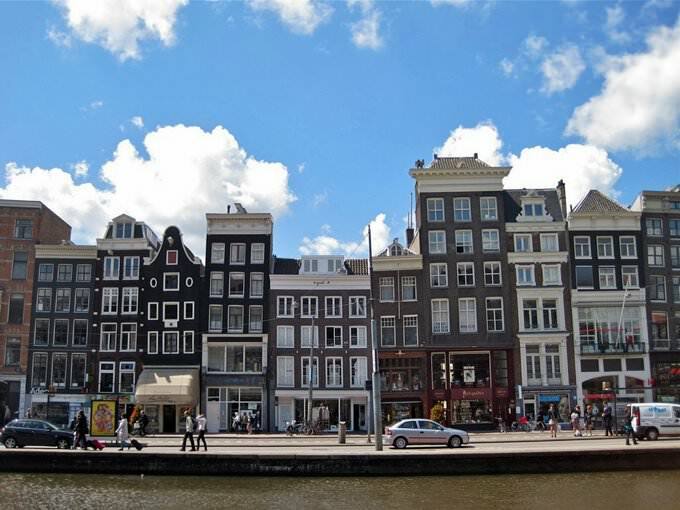 Amsterdam is the city of contrasts, with its vice quarters and cultural landmarks, deep cultural roots, and open-minded people. 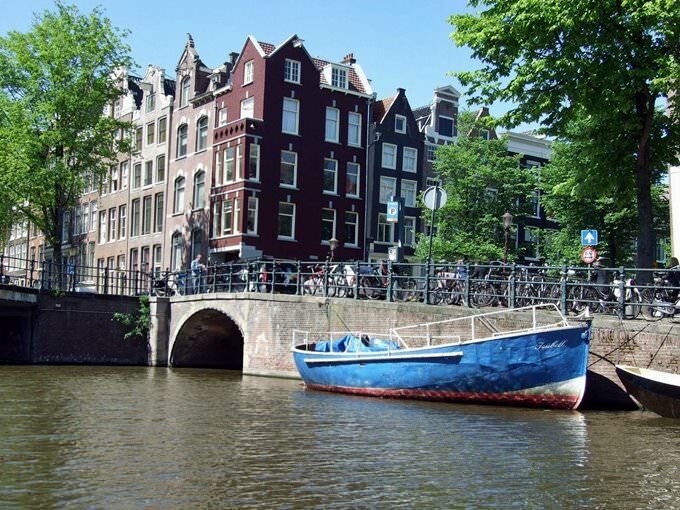 This guide on active recreation and leisure in Amsterdam is protected by the copyright law. You can re-publish this content with mandatory attribution: direct and active hyperlink to www.orangesmile.com. 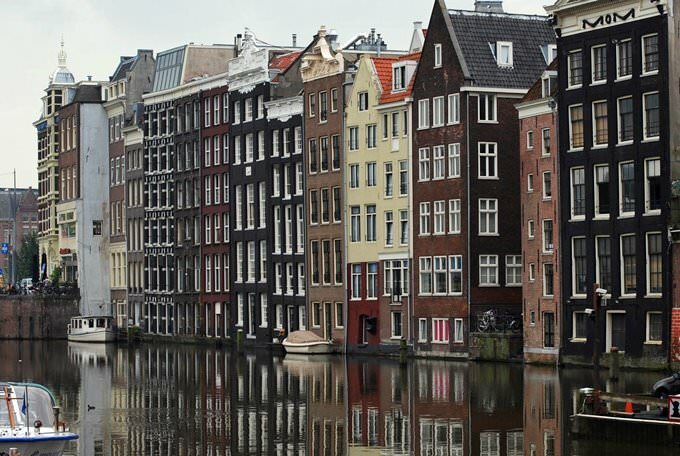 Guide to your best city break in Amsterdam - popular places for recreation and leisure. Things to do during the day in Amsterdam - attractions, parks, beaches, aquaparks, racing tracks, biking trails or waterski. Recommendations (with addresses, phone numbers and links) where to spend your time in the evening (bars, discos, clubs, etc.). We share some good ideas and the question 'What to do in Amsterdam?' disappears immediately.